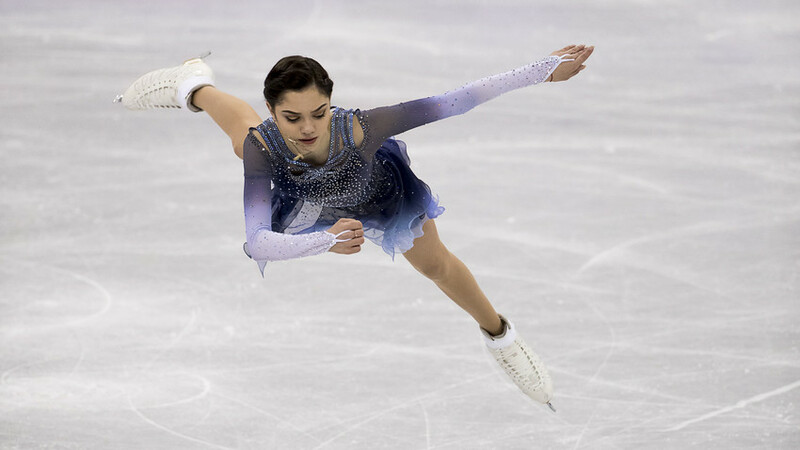 Evgenia Medvedeva of Olympic Athlete from Russia compete during the Team Event Ladies Single Skating Short Program at the PyeongChang 2018 Winter Olympic Games at Gangneung Ice Arena on Sunday February 11, 2018. 18-year-old makes history during her first performance in Pyeongchang. Medvedeva, who held the previous world record for figure skating’s short program (80.85) has once again written her name into the history books by clocking a judges score of 81.06 in South Korea during the Winter Olympics. However, the teenager won’t be resting on her laurels: "I can be proud of my team, my parents, and my coaches. I, in particular, have to work and show the best results." The Olympic Athletes from Russia (OAR) team took second place overall in the event. The free skating program kicks off on Feb. 11.